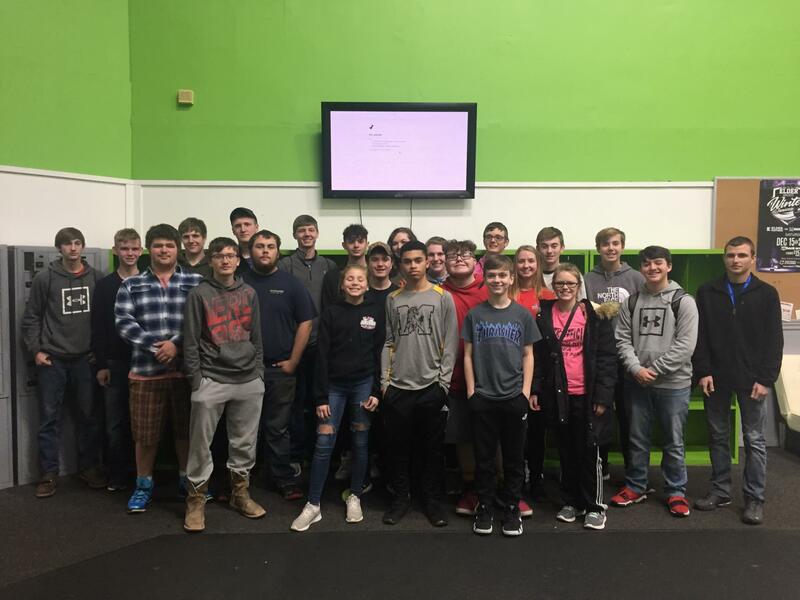 On December 21, 2018 23 Lynchburg-Clay FFA members were rewarded for their fundraising success in the recent Winter Fundraiser by attending a field trip to Zip City in Cincinnati. Members have sold at least $75 of product were invited to attend the incentive trip. The more products a member sold, the better the discount they earned off of their admission price. During the trip to Zip City, members were able to enjoy the indoor zip lines, trampolines, rock walls and basketball courts for unlimited use for two hours. When finished with the two-hour event, members were exhausted! Congratulations to the members that attended the event! Photo Caption: Pictured are 23 members of the Lynchburg-Clay FFA chapter that enjoyed recreational activities at Zip City recently.